The Cat name, with its iconic yellow machines at construction sites around the world, is synonymous with heavy duty work. And it’s this unshakeable reputation that’s at the heart of the “Born From Bulldozers” campaign, which asks a very simple question: given Cat work boots’ long and storied heritage of working, why pick anything else? 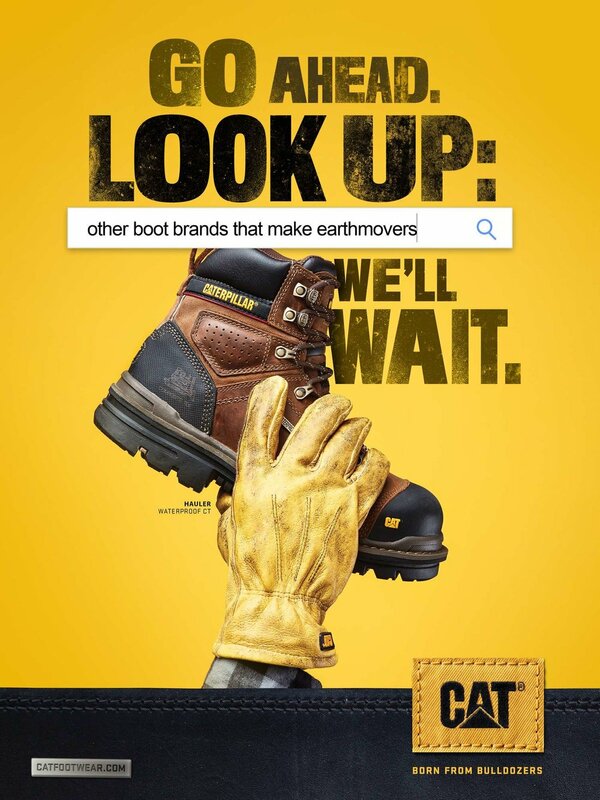 We created print, out-of-home, in-store posters and social content to lead consumers to what should be an obvious conclusion: there’s only one work boot that’s tough enough to carry the Cat name—which means there’s only one choice, period.